I am in the pro-raisin camp. And therefore I definitely love chocolate covered raisins. So I made the mistake of grocery-shopping-while-starving the other day and I spied some Raisinets on sale near the cash register. I NEVER SEE RAISINETS!!!!!!! So of course I grabbed them because we all know that a small handful of candy will completely quell your hunger until you get home with the groceries which is why they place it at the cash register. Duh. It was on the way home that I decided the Raisinets needed to be in cookies. 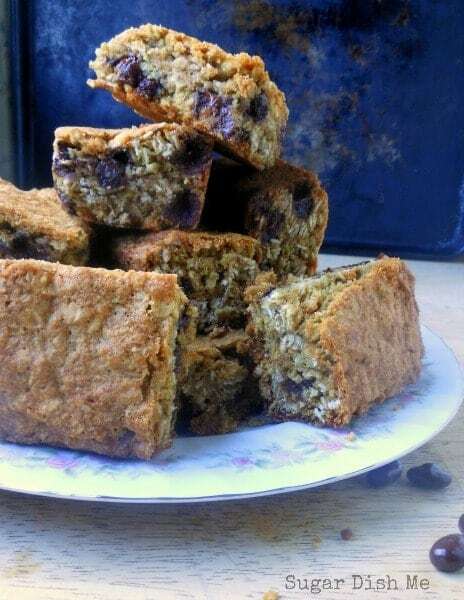 I took my never-fail favorite oatmeal cookie recipe and pressed it into a 9 X 9 pan to make big fat oatmeal cookie bars. 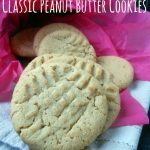 Bar cookies are WAY faster than regular cookies because you don’t have to watch the oven every 9 minutes, but if you would prefer regular cookies this recipe is perfect for those too. I found a big bag of Dark Chocolate Raisinets that I used for these cookie bars. If you do not love Raisinets you could go for pretty much anything here. Chocolate chips would be the easiest thing. But if you find yourself with loads of snack-sized candy bars laying around those would be really delicious. 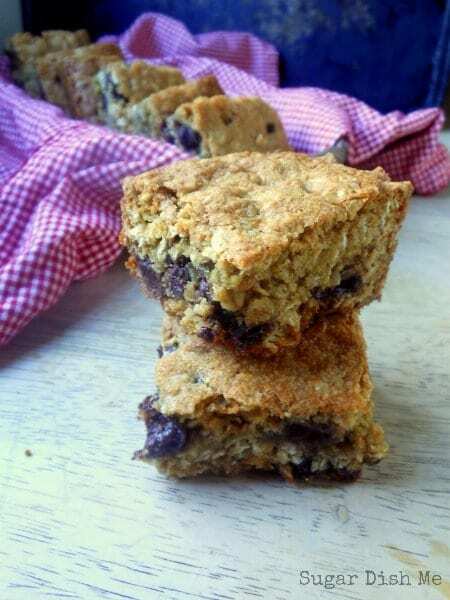 Big chewy oatmeal cookie bars loaded with Dark Chocolate Raisinets! Preheat the oven to 350. You can line a 9 X 9 pan with parchment paper and butter it (makes removing the bars extra easy) or you can just lightly butter the pan. Cream together the butter and sugars until they are fluffy. Add the eggs and vanilla and beat on medium until combined. Add the flour, baking soda, and salt. Mix until the dry is incorporated with the wet. Stir in the oats, then stir in the Raisinets. Press the dough into the prepared pan and bake for 30-40 minutes. The top will be golden and the bars will be thick. A pick inserted into the center will come out mostly clean (some moist cookie bits will cling). Let the bars cool before slicing into 4 or 5 rows. Super! Let me know how they turn out! 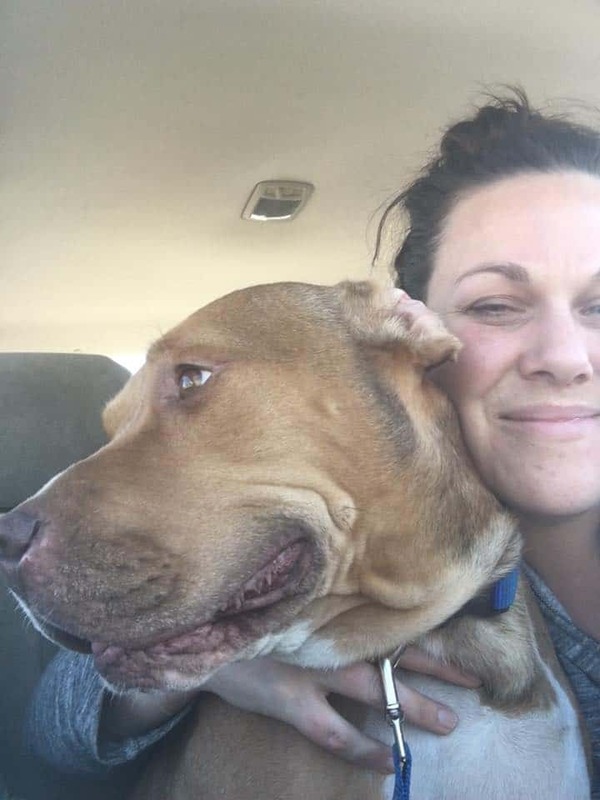 Have a great weekend Rachel! I am all about the ease of bar cookies. This looks wonderful! We may try this with chopped dates! Bar cookies are awesome– bakes like a cake, tastes like a cookie! Dates would be awesome! Want. Looks so so good! I definitely have mixed feelings about raisinets…but I think I could totally get behind stuffing them in cookie bars!! I am definitely pro-raisin…but what is a raisinet?! Love a bit of oatmeal and raisin action – yum! WHAT IS A RAISINET???!!! Now I know what I need to send in my next package! Chocolate covered raisins. That’s what they are! 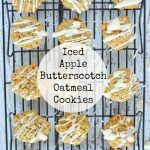 Just made these for dessert tonight and they are wonderful! We used organic jumbo raisins instead of raisinettes and they are so good. Thoroughly satisfied my craving for oatmeal cookies. Thank you!!! 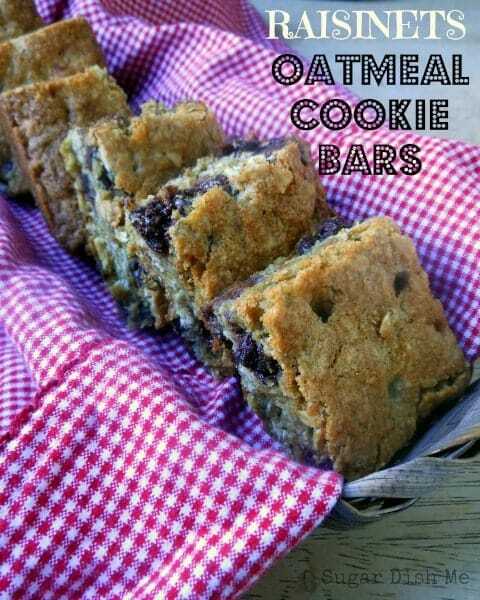 Perfect oatmeal cookie bars! I love the Raisinets addition, as I can’t get enough of them! Definitely will be snacking on these! I love cranberries, so that’s what I used instead of raisinets. Yumminess!! 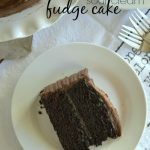 Thank you for this keeper of a recipe.